Moses – Prince to Prophet: God uses Moses to deliver the Israelites from slavery, and we learn how God can use each one of us to do extraordinary things for Him. Amazing Grace: The Topz Gang learn how to show grace towards the Dixons Gang even though they don't deserve it. Timid Tim: Timothy was Paul's young helper but he learnt how to confidently tell people about Jesus. Twins in Tents: The twins are having fun camping and learning about Jesus' parables and teaching. 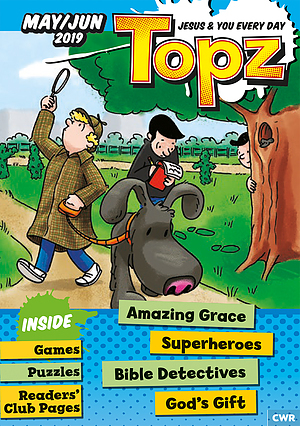 Bible Detective: By using our detective skills, we discover what we can learn from various characters in the Bible. God's Gift: The Topz Gang receive a parcel and also find out about God's gift to us – the Holy Spirit. Amos the Shepherd: Amos was God's messenger. He warned the Israelite people that what they were doing was wrong. The section reminds us that God's way is the best way. Superheroes: There were some brave people in the Bible, and we can learn from them how to be mighty for God. Plus games, puzzles and readers' club pages. 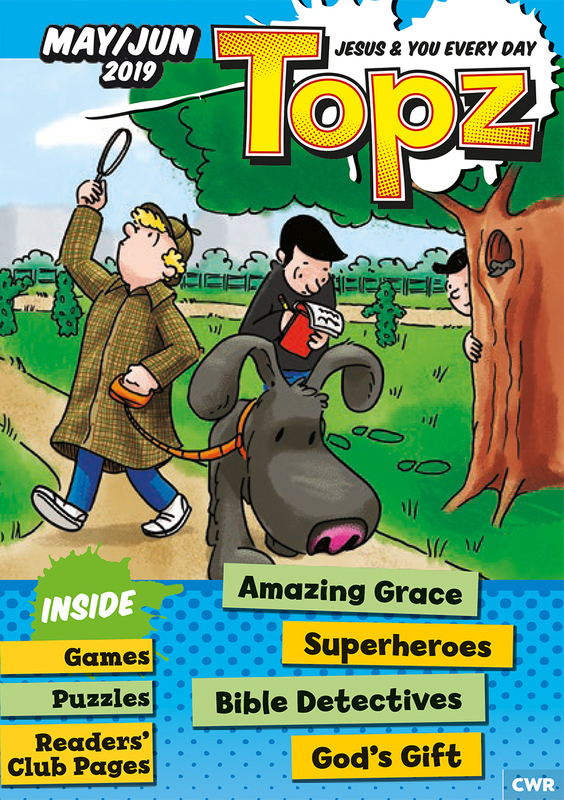 Topz May/Jun 2019 was published by CWR in January 2019 and is our 217th best seller. The ISBN for Topz May/Jun 2019 is 9781782599562. Be the first to review Topz May/Jun 2019! Got a question? No problem! Just click here to ask us about Topz May/Jun 2019.